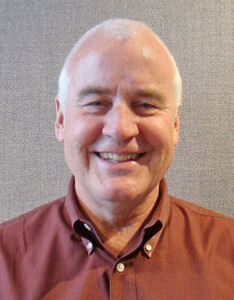 Over 30 years in real estate and related business in Santa Fe, NM. I am pleased to share updated statistics about the Santa Fe residential real estate market in this autumn season of 2018. You will find several spreadsheets and reports available for viewing (and printing) on the left side of each of the blog pages you wish to view. Please note the consistency of finding out that the Third Quarter 2018 sales matched the same Quarter from 2017. When I crunched the numbers I was amazed that we had exactly as many sales this year (over the last 3 months) as we did last year. But do take a look at the 3rd Quarter report because it clearly illustrates how short of inventory we are in the under $300,000 range. Actually I would say we are short of inventory of homes priced at $500,000 and below, but the lowest range really hits home showing a decline in sales below $300,000 year over year. A prediction that might not be too bold is that if we had triple the inventory in that lowest price range, the sales of those units would have at least doubled. But it is what it is and for many years people living in Northern New Mexico have often had to settle for a manufactured or mobile home that they can afford. The average sales price over the last year is over $485K while the median sales price is $365K. While the Third Quarter last year and this year are identical in total sales of units, sales in the middle and upper price ranges made up for the decrease (due to lack of product available) in the lower ranges. I think it is safe to say that total sales for the Quarter just completed would have been over 700 units if there was more to choose from. Annual precipitation is yet again below the average for this date this year. The last chart I saw showed we had rec’d just under 7 inches so far this year while the historical average is over 1 inches. So when is this drought going to break? Or is this the new normal and we are now getting what we can expect to be the average for the near term future. How fortunate to be far away from the hurricanes and tornadoes that ravage our lands and people. We only have drought and a very rare case of the plague (sounds medieval) and hantavirus. And having spend some time in the Southeastern USA recently, we are fortunate not to have mosquitoes in thick swarms here. You have to give credit to the typical Santafesino for being so frugal and careful with water use. Almost nobody has a visible blue grass yard (though I have seen some back yards with the water hungry grasses). I would hate to be selling lawn mowers and leaf rakes here. Get your costume early so you can practice eating the Halloween candy that you will be collecting soon. It’s not my fave holiday so I will probably be sitting in the dark at home not answering the door. Lack of inventory has been promised and/or threatened for years around here. This is the year we are finally seeing it in full force and effect. This lack of inventory is a problem no matter how you look at it, unless you are just plain greedy, hoping that homes climb so high in price you can make a killing selling your’s for triple what replacement would cost. But that is not realistic. The fewer homes that a prospect can view means the more urgent their search and decision becomes. And that plays into the sellers hands for price and value. If you are a buyer and find yourself competing with others for the same home, which is more and more common these days, then your bargaining power is low and your likelihood of getting a “great” deal is much lower. You will get what the market will bear. And you might have to overlook some shortcomings and a less than average home for what may feel like above average prices. Feel free to use the charts available to you on the left margin as you compare today’s status of sales and inventory with last year and each and every year since the mid oughts. Somewhere around 2006 it was “tight’ but not as much as it is now. While we had more unit sales per month thru the 2004 thru 2006 time frame, the average absorption rate was much higher because the inventory was much higher. Now there is less to look at. If there were more homes for sale, the number of sales per month would be higher. I cannot predict how many more sales would occur if there were twice as many homes for sale out there. Just that there would be more sales. In 2016 and 2017, the average number of months it would take to sell a home (in all price ranges) was between 6 and 7 months. That seemed balanced and fair to all parties. There were homes to compare and choose from. And sellers were getting close to what they expected to get when they did sell. Now its worse for buyers and even better for sellers. An imbalance is fine as long as everyone knows about it. There is no law that says a market has to be in balance. But make no mistake now it is a seller’s market. This is strongly the case in the lower price ranges but still true as you go up the scale to the seven-figure homes. What a time to be a seller, right? Except what are you going to do when your home sells? Are you going to pay more than you just sold for, due to the market conditions? Maybe you are downsizing and can look in a lower range and for a smaller home now. But that is exactly where the market is so tight, where inventory is so scarce. There is still an issue out there that I plan to research and it would potentially have an influence over the numbers I present to you each month. There are new homes being built and sold (by Pulte Homes) in the segment of land between Governor Miles Rd, Cerrillos Rd, I-25 and Richards Ave that are not in the Santa Fe Association of Realtors numbers. Well, I am guessing many of them are not there. Our MLS database shows only about 20 home sales in that area in the alast few years. My uneducated guess is it would be closer to 100 sales, if not 150. I have mentioned this in prior posts but this is going to take some detective work to get a more representative count of what is going on in Santa Fe housing. It is not really correct that there were 1639 homes sold below $500,000 over the last 12 calendar months, even though that is what the Absorption Rate report says. Maybe it was 1700 sales. Maybe even more or who knows? As soon as I can get a handle on it, I will share what I learn. If some sales are not included in our MLS database, so what? It’s not really a big problem except it means the MLS data is less reliable that it used to be. 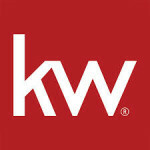 And that makes this little blog less informative and useful to buyers, sellers and real estate professionals. Meanwhile, enjoy the coming fall season and lets hope for plenty of snow in the mountains. The Santa Fe residential real estate market has fully recovered from the economic crisis that made such a mess of things the last 10 years. Someone might say we recovered fully by a date last year while others might claim we still have more progress to make before reclaiming the high ground we held in the middle of the previous decade. Yes some years we had more total sales than we are seeing right now, but there are reasons why the numbers herein can not tell the entire story. Ten years ago almost all home sales were through our Multiple Listing Service and our local Association of Realtors (SFAR). These days that is not the case as large company home builders are building and selling homes like crazy in Santa Fe and those results are not part of the MLS data. The best example of this missing data is the Pulte Homes developments in the triangular area between Cerrillos, Richards and I-25. Known as Vistas de Las Soleras and Sierra de Las Soleras, these developments have seen a large measure of success putting out new homes in the most needed price ranges (below $500K). Their offerings are fairly easy to find online under Pulte and if you have not visited the areas with all the new homes, you will be amazed at how many there are and how fast they are going up. I apologize for not having current data on this phenomenon because it would be quite relevant to my statistical reporting about home sales in Santa Fe New Mexico. A wild guess is that there are at least 200 homes already built and occupied in these two developments. If that was 100 last year and another 100 so far this year, that changes our numbers substantially. Over the last 12 months, we had a MLS total number of home sales under $500K of 1633 units. If you add 100 that would increase the total by a full Six (6) percent. That kind of number is nothing to sneeze at. I may have written this earlier, but I will endeavor to find out what those unit totals are for Pulte. Meanwhile, without that data, we are still up 7% for this period this year versus same period last year. While July 2018 was a bit off of July 2017, it could well be those missing sales that we do not have an accurate count for. Overall our sales results continues to improve month over month and year over year. The last year we had a drop in total sales was 2009 when we were in the midst of free-fall from the crash of many segments of our economy (including real estate!). Beginning in 2010 we have gone up in unit count each year ranging from near 3% to almost 23%. If this year ends up that we enjoyed a 7% increase, there is nothing wrong with that. As the average sales price continues to climb (something I review annually) it pushes more inventory into the higher price ranges. Now we are seeing 180 homes a year sell in the $1 million plus range. There are more and more homes that are worth that much so naturally there are more sales, but even better the sales as a factor of quantity of inventory shows a faster turnover and a shorter time on the market for even those high-end homes. It’s the lowest price ranges where inventory is severely lacking and our supply is not nearly keeping up with demand. This is a problem for affordability, first time home buyers and keeping our young people in Santa Fe. Fortunately we have not locally (keep praying please) been racked by nearby wildfires. Other states are not so luck and are seeing vast areas of devastation (and homes burning) as these fires take control of entire forest ecosystems. And what is so amazing to me is that apparently a high percentage of these fires are caused by human carelessness or even now and again purposely set by some absolute fool. I read today charges have been made against a man in California that possibly started a fire that boomed out of control ON PURPOSE. We have some recent rains (sometimes too much at once) to be thankful for, but how do we stack up for recorded history of annual precipitation? Still below averages. And our conservation efforts have us below 100 gallons a day per person, one of the most frugal water use areas anywhere. Now if we can just get a decent snow pack this winter. Don’t even think about not voting in November. There is too much at stake, no matter where your loyalties are. The non-voters have won way too many elections. Then we can all sit around complaining about how unhappy we are with who did get into office. Better to vote so your complaining is justified instead of just that whiny high-pitched noise that annoys everyone. Thanks for your loyal following. As I get closer to that senior citizen category I find it easier to forget things and harder to climb stairs. But I still want to ski free at Ski Santa Fe when I get old enough. I think its 72 or over now so I have some more waiting ahead of me. You had plenty to be worried about over the last 10 years including ‘will my home ever sell’ or ‘will I ever see my 401-K regain the level it was at before the storm’. You didn’t know if you’d ever get what you paid for when you finally sold that house. You would have loved to have sold in 2011. Or 2009 or 2012 or last year. And now in 2018 you may be able to sell it fairly quickly, but for enough to get back what you lost to the economic recession that wiped out your life savings and stock portfolio? We have always wished for a full recovery from the real estate crash and we might finally be able to say with utmost confidence that we have achieved that. And you might also be thinking this sure doesn’t feel as good as you wanted it to feel. Now that you cannot blame impossible mortgage loan requirements and scarce money, plus the plethora of foreclosures clogging up the market, what is the problem exactly? In a textbook example to illustrate, M/M HomeOwner paid $475,000 for their dream home in 2006, with the help of an 85% mortgage. The payments were pretty high, more than double their rent costs, but they had a bright outlook for the future and wanted the big and rambling home. After several years it turned out not to be their dream home for a list of reasons. So they tried to sell it in 2009 and their Realtor told them they MIGHT be able to get $350,000. Something had gone horribly wrong in the real estate market, and in fact the entire economy was flatlining. Well, their mortgage balance back then was $405,000 which scared the bejesus out of them and they “held on” to the home, making payments to stay out of foreclosure and the ruin of their credit. They did not replace the carpet or upgrade the master bath as funds were tight with payments and all. Gradually things got a little better and in 2012 their favorite Realtor told them the home MIGHT sell for $400,000 and their balance by then had dropped to the same amount $400,000. But they knew the home was not going to show well with that heavily worn carpet and broken down fridge and dishwasher and stained countertops plus all the stucco cracks. They were told the cost of sale would represent about seven percent of the final sales price. They were not ready to take that hit and sell it on terms that would require them to bring so much money to closing. They barely had two months of living expenses saved up what with college for the kids and his car that he needed to commute in. So they stayed and kept making payments. They were not happy but they had a roof over their heads. And then, the magical year of 2015 arrived and they finally started to think this was going to be their year to sell. The economy was much better and economic pundits told them the real estate crisis was over. Appreciation had started to become a reality again (in the lowest price ranges) and they were very optimistic about selling and walking away with a little cash. So that Realtor, who had moved to a new virtual brokerage by then, was asked to do another market analysis. The conclusion was a selling price range of $450,000 to $470,000, almost as much as what they paid in 2006. But homes were still taking almost a year to sell and the homes in great condition usually sold first. They had to figure out how much they could put into their home to bring it up to date and make it show so well that a buyer could not ignore it. By this time, since they had neglected almost everything about the upkeep of the home in their nine years of living there. They got some bids together and found out they would have to spend some $50,000 to make it shine and hopefully be irresistible to a buyer. It could actually run up to $80,000 if they went crazy and did everything. With their mortgage payoff at $390,000 plus the $50,000, their sales price would have to be north of $475,000 to close without having to bring cash to closing. That was above the range their trusty Realtor provided, but they were ready and hoped they could find the right buyer at $475,000. IF THEY COULD find a buyer at $475,000 with minimal further reduction in price for items found in the inspections (remember they were going to spend $50,000 to upgrade), their seven percent cost of sale would drop the net, prior to payoff, to a bit over $440,000. They also had to payoff those credit cards for $50,000 from spending to upgrade the home. Payoff of $390,000…? Yes it could actually work. So they listed the home at $495,000 hoping to get a buyer to buy for at least $475,000. Professional photos were posted online after they decluttered and made the home look as close to a “model” home as possible. It did show well, but that effort and expense just put them in the middle of the pack of existing and new inventory. The absorption rate hit a plateau and many others in similar situations also had put their homes on the market. Since there were only so many buyers, their home did not sell right away. It was only shown six times in the first month and after 60 days they met with their Realtor to discuss lowering the price. So they lowered it to $479,500, still hoping to get really close to $475,000. But after it was passed over by buyers looking to spend about $450,000, they had lost out on a good portion of the peak season and were still a bit overpriced. They thought if someone wants our home they can make an offer. That kind of thinking can lead one into belief that their home is priced to sell. But it did not sell. They had one buyer on the hook, but his mortgage was declined so another 30 plus days were wasted. Desperation was looming as they had really wanted to sell six years earlier and now they had planned to move out this very year. But they gave up trying (living in a home listed for sale can be stressful and restrictive) and they terminated their listing and fired their Realtor, blaming everyone in the process. It was almost Thanksgiving and they assumed home sales stopped in the wintertime. AND NOW a new day has come. 2018 has arrived and they are damned sure going to sell this time for the amount they want and finally get beyond this ugly chapter in their lives. Their marriage has been severely strained, they have had to deal with illness and career goal disappointments, but there was finally a way out. The new Realtor they contacted, who had been in the business about 12 months, but was best friends with his mother, took the listing at a price of $540,000. This would be great, finally, they thought. The mortgage was lower, they owed less on those credit cards and the market was heating up to the point their new Realtor said they could sell it in 90 days with some good fortune and the right buyer. And they did sell it in 90 days this year, getting a net bottom line enough to pay the mortgage and credit card balances in full and walk away with some cash. They celebrated by taking a trip to Italy and Greece and renewed their marriage vows in the process. They held off buying another home while the burn scars of owning the prior home were still healing. Renting was fine with them. Their credit was just good and they had an empty nest situation as the kids were grown and gone. They never spoke to the first Realtor, but that old veteran was used to failure and rejection. She could always find a way to put on a smile and speak positively, even with the down side of her business. Is this a happy ending? Would they have ever chosen to write this script to live out in real-time with the goal of having a happy ending? How much did they worry and stress during the 12 years they owned that last home? Their kids saw them arguing and fighting on a regular basis. They did not take vacations and did not take good care of themselves during that time of worry and despair. His mother-in-law scolded him incessantly. Her father-in-law, after a serious stroke, seemed to not have the same fondness for her as before when they were younger and happy. What else could have happened? They could have decided to walk away from the home in 2009 or 2010, when they owed more than it was worth. They could have mailed in the keys and likely been stuck for a deficiency balance for the amount between what the bank sold it for a year later versus their outstanding debt. That or all of the other burdens and mistakes could have placed them in bankruptcy anywhere along the timeline. As it turns out they did not ever declare bankruptcy and these days are wondering why they thought it was the wrong thing to do back then. They might have sold it in 2013 with an agreement from their lender for a carry over debt to cover the short sale net amount that their did not get at closing. They might even have been able to negotiate a complete forgiveness of the short fall on the payoff. Maybe they should have just stopped making payments and lived in the home for free (except utilities) while they fought foreclosure. This might have stretched on for 2 years or so. Of course if they were going to do that, they really should have put aside at least $3000 a month toward their future lives and a future home for themselves, but most people are not that disciplined. What does it mean to have a foreclosure on your credit record? And a bankruptcy on top of that? After enough years have passed it might mean nothing. But back in 2009, they never imagined it would be nine more years before they would see a sale. Very few people predicted the long and painful recovery process that took basically ten years (in the Santa Fe area anyway). Sometimes I go back and read the archives of what real estate counsel I was sharing from ten years ago and it was not pretty then. It was honest and negative; mostly gloom and doom. I was critical of most every part of the process of doing real estate business. Mostly I feel the largest mistake made by us all (and it would have been almost a miracle for it to turn out differently) was to not take the problem of millions of homes in foreclosure and millions more underwater and make federal laws that mandated a faster and equitable recovery for all of the people involved and all of the banks holding the notes. What did happen cost the federal government (and all of us taxpayers) a great deal of money, but they paid it to the banks that made the “bad” mortgages instead of actually paying down the mortgages allowing people to stay in their homes. The upheaval make a mess of many lives of Middle Class Americans. This subject has been the focus of many a book and article. What did we do wrong? And what did we not do right? Do you want to pass judgment on the last 10-12 years of Santa Fe residential real estate? Feel free. My take on the single largest factor in our local scene is the thousands of mortgages made to borrowers who were not even close to qualifying for a mortgage, using conventional underwriting standards. Even allowing for payment of MPI and the VA/FHA programs that OK a small down payment, far too many loans were made to people who did not qualify. And then values plummeted and stayed down for years making certain that anyone who was vulnerable to that reality got a chance to suffer financially. Hindsight is wonderful, si? no? When you are shopping for a home under $350,000, where do you look? Would you be happy with a 900 square foot 2/1 condo near downtown with one off-street parking place? How about new construction on the fringe of the metro Santa Fe area, with a small yard and a garage, with new appliances of a lower quality? What else is there? Maybe a fixer upper off of West Zia or the near Westside near St. Anne’s? Maybe a tract home in Tierra Contenta will be your ticket, with neighbors everywhere and a long commute to Meow Wolf or the Fiesta events? Find me the great deals and values and watch while they will sell quickly. Whatever the new home volume is in this market, it still cannot keep up with demand for the lowest price ranges that homeowners are seeking. That drives the minimum prices up and builds a floor on the prices that indicate starter home ranges. Improving market conditions are usually welcome, but why does Santa Fe not find success in dealing with its “affordable home” problem? For many years the answer has been for people to buy a double wide trailer on a foundation within 45 minutes of town. A lot without restrictions that allows you to do that in La Cienega, at least 20 minutes from downtown, costs over $100,000 and that’s without the home (manufactured or mobile). In-fill is a popular concept, but within the last 3 years the city powers that be rejected certain in-fill projects because the neighbors made too much noise, or had a close connection to those decision makers. If you drive around the southwestern parts of town, off of Airport, Agua Fria, Alameda and northwest of the bypass highway, there are plenty of tracts of vacant land. Those would not be in-fill really as they are still on the edge of the city. But will all of those parcels get developed into single family, town home and multi-family dwelling units in the next 10-12 years? YES and still we will be short of inventory, primarily in the lower end of the price ranges. Do we have enough water for all these new homes that are going to be built around here? And they ARE going to be built by someone. When you can get $225 a foot retail for a new tract home, someone is going to build those. Does it matter that we are in a serious drought – AGAIN? Lack of snow melt means the rivers and streams are lower and/or intermittent while the general water table below our city keeps dropping. What can you do? Maybe one little place to start, and it will take a large majority of property owners to participate to make a difference, is the immediate removal of the Siberian Elm trees everywhere. They are popularly called Chinese Elm trees too, but no matter. They are thick and they grow like weeds even in drought conditions. The only redeeming value they offer is a little shade over a patio or parking place here and there. More often they just grow like crazy anywhere they can get a foothold, such as a fenceline or a wall. I recall a home right on St. Francis that had so many volunteer elm trees growing hard against the foundation, on all 4 sides of the home, that there was no economic value in trying to remove them. Tearing down the home, which was a complete mess anyway, was the logical thing to do. Bring in a bulldozer, and so they did. I am not an expert on botany or growing things, but I am willing to bet: if 80% of all the Siberian Elms in and around Santa Fe were removed, our water table would start to rebound and our obvious water shortage would be somewhat less of a crisis. Tree huggers, including me, think of cutting down a tree as a heresy and a sin. It is so dry that seeing anything grow is inspirational, but please not the Siberian Elm. Besides sucking up all of the ground moisture, they invade plumbing pipes and buckle sidewalks and streets. And send their seeds far and wide to pile up like snow drifts. And the branches can break and fall without the need for a major wind gust. They are a non-native species that should be removed. If they cannot be removed, they should be controlled much more than they are being controlled now. My proposal would be to allow each property owner to keep one mature tree per 10,000 square feet of land. And as the new ones come along, they must be removed before they can sink their water seeking roots deep into the ground. Make it a nanny state battle. The government is telling me I must cut down trees on my property? They can go to hell. At least the City and the County can start on their parcels. Maybe some phase-in time frame makes sense, like 10 years to get into compliance. You tell me how else you can put a stop to the dropping water table and keep us from having to drink from our cisterns (if it ever does rain). Do you want me to gather some expert opinions about these matters? Why is nobody making noise about this (well maybe someone is)? Why is this the elephant in the room that we are all ignoring? Thanks for reading and hope you can find your dream home soon. I want you to be a happy real estate owner. What a year, what a year! It was easily the best in at least the past 10 years and the foundation for continued growth and prosperity in the real estate sector is solid. The breakdown in price ranges tells the tale in more detail, but you can guess the variations if you have been a student of the Santa Fe NM residential marketplace over the years. The lower price range (under $500K) is the strongest; big demand and not enough inventory. At least in this lower range there are new homes popping up in several locations around the metro area. The demand is so strong they are selling quickly. An exhaustive search has not been performed to see if ALL the new homes are showing up in the Santa Fe Association of Realtors database. Likely not, so my stats, based on that same database, will be only part of the story. The mid range ($500K to $1M) is not far behind with a good steady absorption rate and almost no new homes showing up for sale. Home buyers looking in this range report back that there is very little quality inventory. Homes that are in top condition with lots of upgrades and amenities sell in three to six months. The rest take longer. And they still must be priced in line with the competition. Nobody is paying “too much”. The top range, above $1 million, is the strongest it has been in many years as we have a wide range of product located from the hills to the valleys ranging from 100 year old adobes with masterful remodeling to sprawling McMansions on acreage all over the hills. Some have character and charm while others are just plain big. True in any measure, the art is in the eye of the beholder. Savor the good news now that we are in a balanced and stable market. It has been a long and crazy climb out of the mess from 10 years ago and we hope never to revisit that painful experience. I’d like to propose a toast to a heavy snowpack and a flourishing 2018! That header is not a new year’s resolution, but a market condition statement, saying we “got healthy” in terms of numbers of sold homes and the ever decreasing inventory…So we are supposedly healthy now? We have made up nearly all of the ground lost over the last 10 years and it feels like we are starting over now. Consistently we are seeing home sales per month in excess of 200 units. The grand total dollar sales for the year will easily exceed 1 billion, which has not happened in over 12 years. Everyone is talking about how low inventory is. In case it’s not clear to you what that means, it means sellers might have the confidence to wait for the right buyer knowing those buyers have fewer homes to choose from. It does not mean that the junk, the extremely dated (can you say mid-century modern?) and the horrible floor plans will all of a sudden start selling. You still have to compete with clean and tasteful product to get a home sold. It might mean more buyers will have to settle for a home they can remodel to suit their needs if they can’t find one they really like as is. Take some time to review the year-end statistics when they are posted by yours truly about January 10th and you will see unit sales growth in excess of 12% from 2016 to 2017. You will see an increase is sales count in each and every price range (unless it’s the lowest which is held back by that same lack of inventory). You will see Absorption Rates at their lowest (average months to sell all available inventory) in many years. It is time to send out your thank you cards and start by sending one to each of your customers and to each of your fellow professionals that helped you succeed. And then plan for an even better year next year. I am going to take a bit of time off to travel so the blog posts will be strictly updates on statistics over the next couple months (each month about the 10th) and not so much trend analysis or political musing. You can get that anywhere from almost anyone. People say a salesperson should not take sides in a political debate so as not to offend or run off the customers that disagree with them. But I tell you a guy that is 67 that is going to remain silent about what is going on in the world today is not someone I would respect anyway. So if you want to hear what I have to say about current events, stick around. You will get more than a lump of coal. Thank you for your support and encouragement over the years. It is certainly nice to be able to report on positive trends and increasingly healthy sales results in our special market. Who knows, we might see more pastureland turned into ranchitos and mcmansions in the future. We might see a stronger backbone for city infill by the powers that determine who gets water and sewer hookups at what price. Everyone loves open space, but if its weeds and some junk autos and blowing trash, is that the highest and best use by some definition? Happy new year and best wishes for a prosperous 2018. Go anywhere in the “pages” section of this blog, where the reports you may want to look at are available on the left margin. Compare the last 12 months with any other recent period and be prepared to let out a cheer. I feel as if the wicked witch is dead. Things are good enough that we are getting into dangerous territory in the lowest price ranges. The length of time on the market for a home under $300K is well below 6 months, meaning sellers are getting away with selling quickly without as much caution on the buyers side. Many other price ranges are healthy and certain neighborhoods are thriving, but why not? It is about damn time, right? Enjoy the reports and get ready for a rocking and rolling 2018!! We can cheer and smile just a bit as we continue to build on a strong year, the strongest in many years, and stronger than we have had the pleasure to brag about for some time… The unit sales numbers for Santa Fe residential real estate are running at or above a 10% increase over last years unit sales numbers. That’s some news you can smile about. Various spreadsheets and charts are available for your review if you enjoy digging into the historical trends and current versus prior tallies. Look on the left margin and select the report(s) you are interested in. Try the Third Quarter chart and note the increases in the 1 Million plus price range, 2016 and then 2017. That is a 42% increase. The entire Quarter, including all homes in the sample, went up 13.6% this year compared to last year. Inventory is actually pretty low in the more affordable price ranges, with barely over 4 months of product (using my absorption rate formula), while the overall market inventory to be absorbed, using the current rate of sales, is only 7 months. That is within shouting distance of a “balanced market” and based on recorded history in Santa Fe residential real estate, it IS now a balanced market here. While we have lagged other cities in our part of the US, we are healthy and solid in our growth lines without wild fluctuations that later could result in another bubble bursting… I can almost make a prediction, but I will not because I am careful not to, that we will not see prices and home values going down anytime soon. But will they go up? Now that we are in balance and not very many new homes are being built to meet the demand for the smell of fresh sawdust, we are likely to start seeing actual price appreciation by mid 2018. It could come sooner but we are entering the cooler months and our winter time sales are usually slower; not as robust as summer and fall. Are you looking for a promise that homes will go up in value next year? That’s what you want? Anyone who promises anything like that is certifiable crazy but it very well could happen. I would be delighted to see some consistent across the board appreciation finally. Get your deals while it’s still 2017 if you know what I mean. Next year could see the sellers tighten up and be less flexible on price and terms, knowing their home is one of only a few available with the quality and location everyone wants. The beautiful adobe in the more distant hills may not notice the market changes as those homes are less compliant with popular buyer location desires. Sellers, plan now to begin your marketing for next year. Buyers, get your pencils sharpened for the deal you want before next spring brings highly optimistic sellers to the dance. Or just buy or sell when you are ready to pull the trigger. Deciding when to do something based on market trends is not always profitable. Better to do things that work for your lifestyle and schedule than following what the masses are trying to do.